M&R Episode 108: Nick and Tamira moved two kids under 5 and a dog to Patagonia for a year. In Episode 108 I spoke with Nick and Tamira Louis. They decided to move their family to Argentina for a year long adventure. They take us through their choice to move, how they found a place to live, put their kids in school, get their labradoodle into the country and manage to earn a living from abroad. It’s a great story for people with families who might want to attempt the same thing. Enjoy! M&R Episode 107: Jory is a artisan moccasin maker whose past is intertwined with the CIA and MKUltra. In Episode 107 I sat with with Jory in Chiang Mai, Thailand. He’s an artisan moccasin maker who sits sewing moccasins outfront of the Khun Kae Juice bar. After being intrigued by what he was sewing and having having many conversation I had to have him on the show to talk about his past and the path he chose in life. Jory talks about him and his mother being on by the CIA’s project MKUltra. His mom passed when he was fifteen in and his father a high ranking pentagon officer a few year later. Enjoy! M&R Episode 106: 10X the power of eastern plants and herbs with Dan Foxman and his company Thai Freeze Dry. In Episode 106 I sat down with Dan Foxman here in Chiang Mai Thailand. He’s perfected the method of freeze drying medicinal Thai herbs, plants, and fruits here in Thailand to harness the power of their healing properties. He started Thai Freeze Dry in 2004 and took the already decent freeze drying machines and made them way better. Have a listen and hear about the health benefits of some of the plants and herbs of Thailand. Enjoy! M&R Episode 105: From zero to Herbalife hero with Travis Nelson. In Episode 105 I reconnected with my old friend Travis Nelson. Eight years ago he was addicted to drugs and alcohol and needed a change. He check himself into rehab and started the long journey toward sobriety and a new life. Within Herbalife he has worked his way up through the various levels. He currently on the Millionaire Team but knocking on the door of the Presidential Team. Did I mention he also runs Ultra Marathons and just finished his first 100 miler. His inspirational message is clear. You can always do more! Whether it’s within your business, your personal life or helping others. You can always do more! Don’t shy away from the uncomfortable or inconvenient. You can always do more! Enjoy! M&R Episode 104: Making it in Thailand as a stand up comedian then taking on the world with Stevo Joslin. In Episode 104 Stevo Joslin and I talk about the exploding comedy scene in Asia and how’s he’s positioned himself to come out on top. Enjoy! 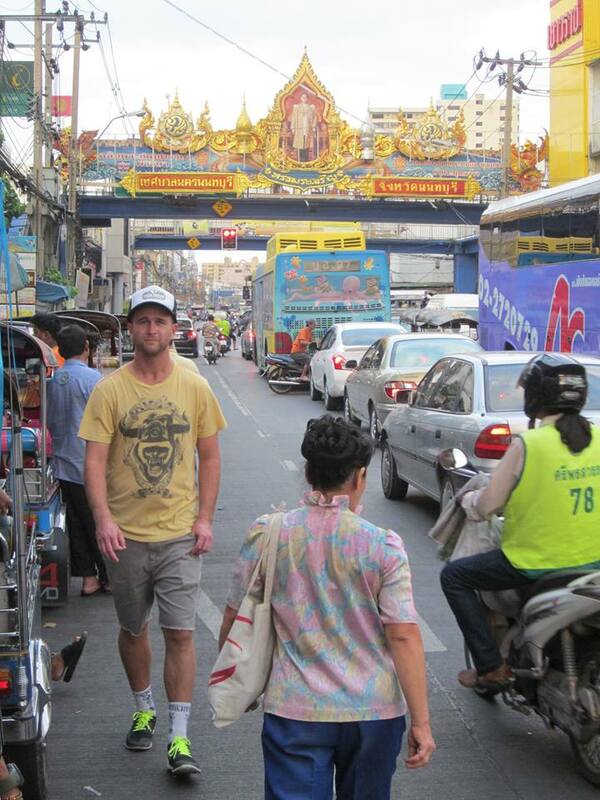 M&R Episode 103: Austin Blevins is twenty three and owns Best Bangkok Tours. In Episode 103 I sat down with Austin Blevins. He’s a twenty three years old and owns Best Bangkok Tours a scooter tour business. What I love about Austin’s story is that he is a risk taker. He’s had his ups and down but at the end of each day he’s always ready and willing to look in the mirror and take responsibility for himself. His tours business takes tourist around Bangkok on the back of motor bikes giving them a real, authentic Thai experience. As he says “The reason you get a authentic Thai experience with me is that I show my guest both side of Thailand. Thai people are very patriotic and wouldn’t want you to see some of the places and things I show my guests.” Enjoy! M&R Episode 102: Anthony Janssen talks about how he grew from one restaurant to four in Margaret River Australia. In Episode 102 I spoke with Anthony Janssen. He’s a chef, restaurateur and businessman who has built three very successful restaurants in Margaret River Western Australia and is in the process of building a fourth. In fact I worked for him when I lived there for the six months back in early 2011. He left a lasting impression on me in how to conduct yourself in business. His stories and lessons have always been at the forefront of my mind as I develop my businesses and strive to be successful. Enjoy! M&R Episode 101: Whitney is a digital nomad who makes her living with online tarot card readings. In Episode 101 I spoke to Whitney. She is a digital nomad who’s making her living reading tarot cards for people online. Prior to becoming a digital nomad she had a highly successful career in New York but felt unfulfill and needed a change. That change came after seeing a documentary on Ayahuasca and she traveled to Peru to investigate. She has done extensive work with the ayahuasca shamans of Ecuador and Peru and talks about the plant medicines guiding her toward this new path. Enjoy! M&R Episode 100: My Dad and I just finished riding bikes from Prague to Dresden. We talk father son adventures and life lessons. In Episode 100 I sit down with my Dad after a epic bike ride from Prague, Czech Republic to Dresden Germany. We recap the trip and the life lessons my dad’s learned throughout his 77 years on this earth. Enjoy! M&R Episode 099: Don Gomez was a reporter in war zones around the world. In Episode 99 we re-listen to Don Gomez tell his story of being a war correspondent and how he got his start. He is an older expat living in Nicaragua and keeps us all on the edge of our seats with his stories of the revolution and the wars he reported on. He also gives you valuable advice on how to be successful in life. Enjoy! 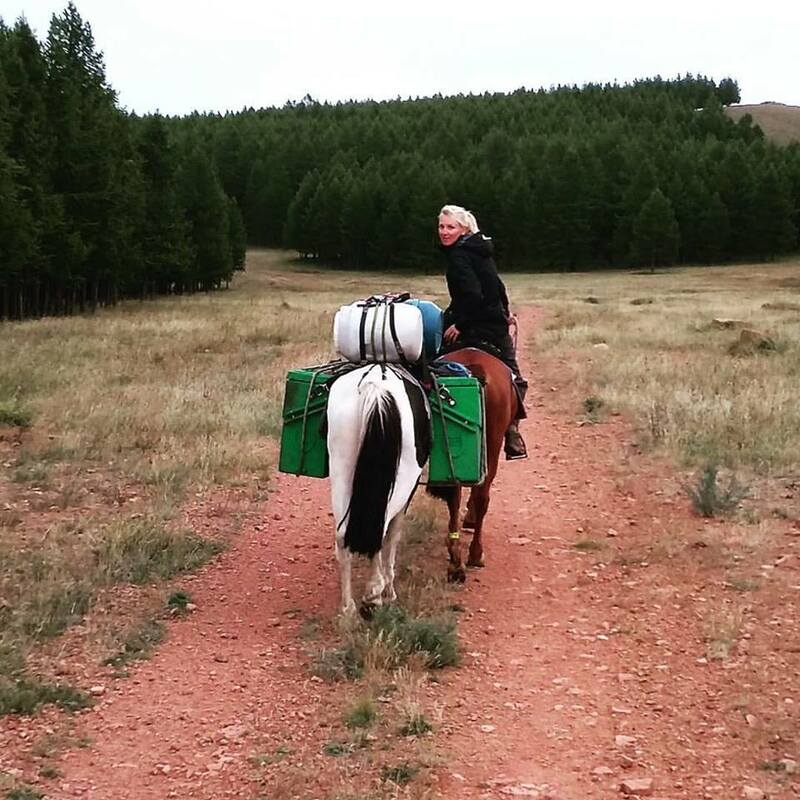 M&R Episode 098: Hitchhike around Africa and ride a horse across Mongolia with Donna Cuthbert. M&R Episode 097: Rick Williams ran away to Hawaii at 15 and spent thirty-four years as a lifeguard at Pipleline. In Episode 97 I sat down with retired North Shore lifeguard Rick Williams. He ran away to Hawaii at fifteen and never left. He pieced together an incredible life for himself on the North Shore and now lives on his property hobbying around and growing organic veggies. Enjoy! M&R Episode 096: Revisiting Rusty's story of being wrongfully imprisoned for 10 years and how he found true freedom. In Episode 96 we listen to Episode 22 and I give a longer intro on how Rusty's story has inspired and impacted me. Rusty Labuschagne spent 10 years in prison in Zimbabwe for a crime he didn't commit. While in prison he discovered a self inflicted type of mental prison that was making his sentence even more painful and difficult. He discover a way to forgive his accusers and let go of the past. Enjoy! M&R Episode 095: Would you walk across France to find true Love? Gilberto and Irini did. In Episode 95 I spoke with Gilberto and Irini. Their story is a love story. They both describe being on parallel paths throughout life until a long walk across France changed everything. Irini is Albanian but had to flee to Greece when she was eleven. Gilberto is Mexican and had to flee to America when he was eight. Have a listen to hear how they met and how they're designing their lives together now. Enjoy! M&R Episode 094: Update on me and why I'm moving back to Thailand. In Episode 94 I give you an update on where I'm at in my entrepreneurial pursuit and why I'm moving back to Thailand. M&R Episode 093: From actor to screenwriter. The perseverance of Sara White. In Episode 94 I spoke with Sara White. She is a screenwriter for television in Los Angeles. In this episode we spoke about the ups and down she's gone through over the last twenty years to accomplish her goal. Her focus and drive really come through in our conversation and this episode lays down the blue print of what it takes to make any dream come true. Enjoy! M&R Episode 092: What a life coach can do to help you achieve your goals with JP Morgan. In Episode 92 I spoke with JP Morgan a life coach from Los Angeles. We spoke about his desire to find truth in the world which led him on a journey into science, travel and ultimately into himself. JP helps individuals and groups see their true self, true potential and the obstacles that ultimately they create to hold themselves back. He helps people make huge life changes, grow their businesses and build lifelong relationships. Check out JP's story and learn why people pay one-hundred-thousand-dollars to work with him. Enjoy! M&R Episode 091: Liz Wegerer left an unhappy marriage in the States for a life of kitesurfing and blogging on Bonaire. In Episode 91 Liz Wegerer and I talked about what her life was like before making the decision to move to Bonaire. She found herself in an unhappy marriage and unfulfilled by her picture perfect life back in the states. 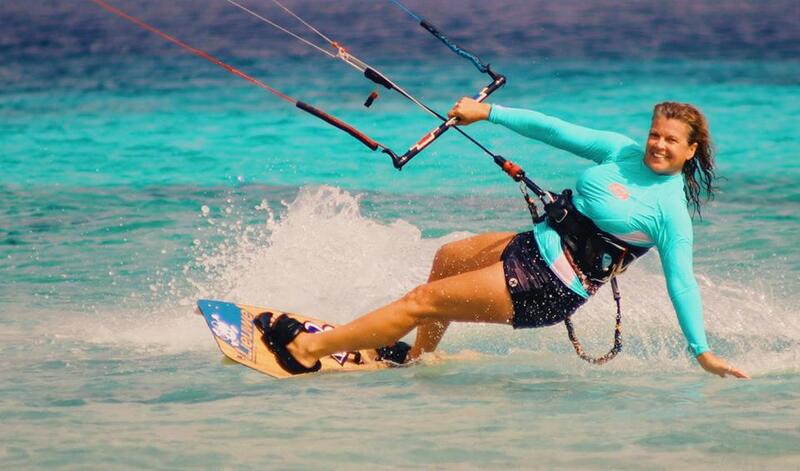 When she landed in Bonaire she said every cell in her body just felt at home and she decided to find a way to design her new life on the island chasing her passion of blogging and kite surfing. Ten years later she is remarried and still loving life on Bonaire. Enjoy! M&R Episode 090: Mat Wood climbed Everest and Lhoste in under twenty four hours. In Episode 90 I spoke with Mat Wood. He recently joined a small group of people who have climbed two eight thousand meter peaks in under twenty four hours (Everest and Lhoste). We talked about the consideration every climber makes before taking on this endeavor and the decisions that are made before you start. Like do you forfeit your chances to reach the summit if another climber is in need of help. The answer is not as straight forward as you might think. Check out the show notes after you listen because I've added a video he made of his adventure. Enjoy! M&R Episode 089: Expat Mariah Moyle sailed to the Bahamas and never left. In Episode 89 I spoke with Mariah Moyle. Her blog Island Mariah helps inspire those who are working through life's many curve balls. Her business Out Island Life in the Bahamas helps give people perspective on investing and relocating to the Bahamas. She's another beautiful Misfit and Reject designing her life in the way she wants. She has had many ups and downs but talks about using her intuition to guide her and how facing her life's trauma has helped her grow and continue to design her life without getting stuck. Enjoy!